"To save Earth, you must descend into the stygian depths of hell. Battle nastier, deadlier demons and monsters with your trusty Super Shotgun. Survive more mind-blowing explosions and take part in the bloodiest, fiercest, most awesome blastfest ever. Recruit your friends and plow through 9 all-new levels in the new episode, No Rest for the Living! Play solo or multiplayer over Xbox LIVE with up to 4 players. 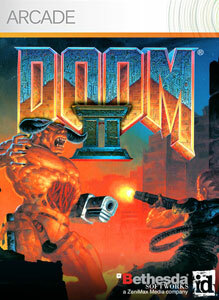 DOOM II for XBLA includes split screen co-op over Xbox LIVE, Game clips, 5.1 Surround Sound, enhanced graphics, and HD display support." 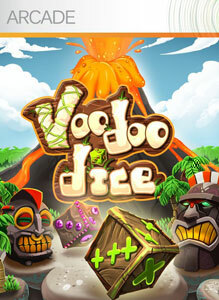 "Mixing action based and puzzle mechanics in a 3D world, Voodoo Dice is an innovative, challenging puzzler that plays with your mind to lead you to solve puzzles in unique and interesting ways. There are no refunds for this item." 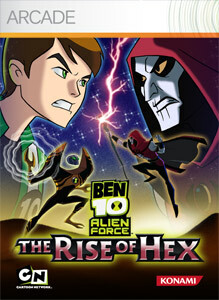 "Ben 10 Alien Force: The Rise of Hex follows Ben Tennyson as he finds himself in the middle of Hex’s villainous plan to control the Earth. Utilizing the powers of the Omnitrix, players can transform Ben into ten different alien forms including, Big Chill, Spider Monkey, and for the first time ever, Lodestar, as he battles Hex and his minions. Choose from 10 different aliens to platform your way through 15 levels completing puzzle challenges along the way. Fight through menacing villains and bosses in Ben’s newest adventure. Experience the world of Ben 10 Alien Force with 3D characters set in a vibrant, 2D-styled environment. There are no refunds for this item."